Meet our girls, six devilishly delicious mocktails perfect for any party. Smooth and sumptuous velvet strawberries are fused with the flavour of premium white rum to bring you the taste of this authentic cuban cocktail without the alcohol. A still flavoured mix. 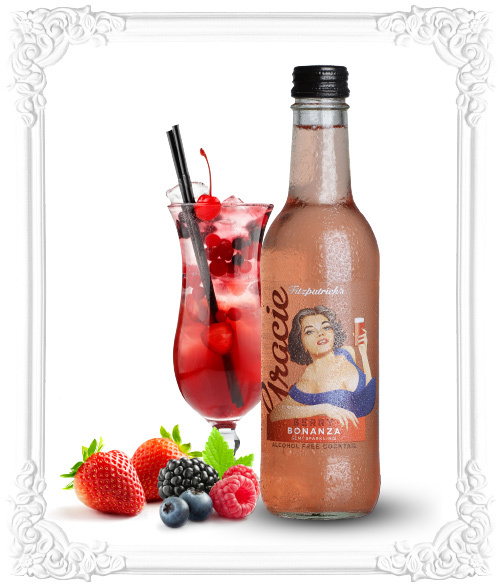 12 x 330ml bottles of our delicious Mocktails perfect for any party! Don't forget if you would like an assorted box try our Mocktail Party Pack. Please note that we are currently out of stock. 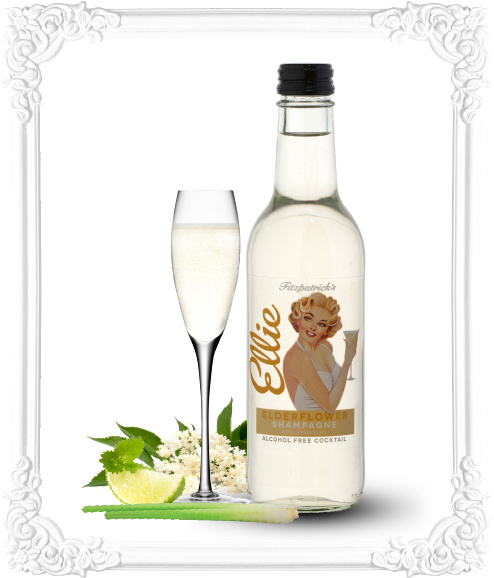 A light and sophisticated blend of English Elderflower, apple and crisp lime with a luxurious twist of fragrant lemongrass. 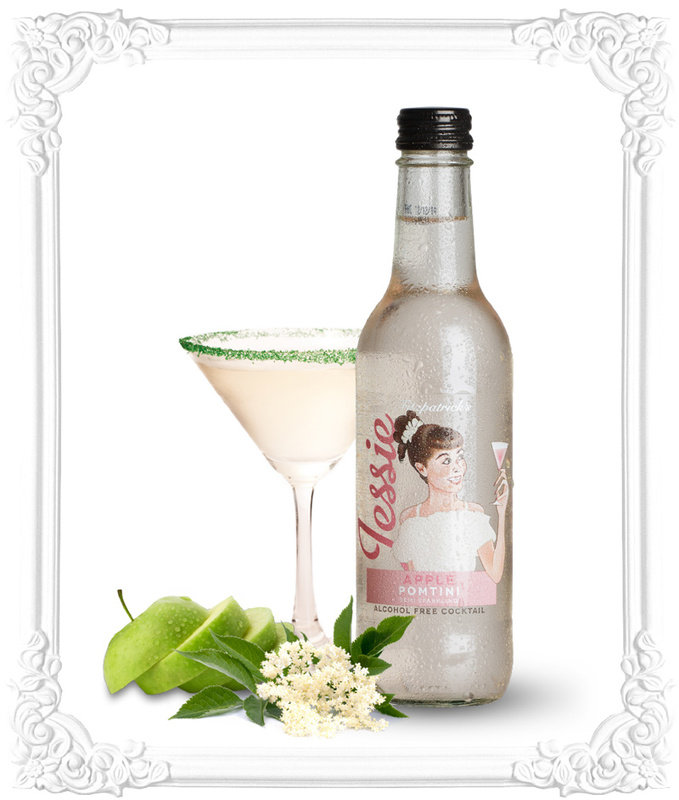 A semi-sparkling flavoured mix. 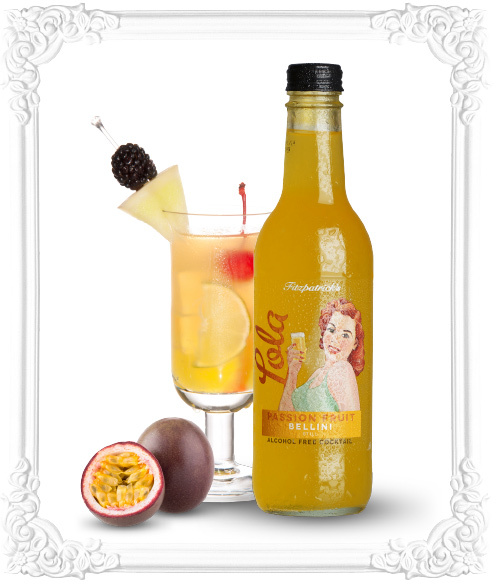 12 x 330ml bottles of our delicious Mocktails perfect for any party! Don't forget if you would like an assorted box try our Mocktail Party Pack. Please note that we are currently out of stock. Decadent and delicious, this full bodied and exotic non-alcoholic passion fruit bellini is the perfect way to escape and unwind. A still flavoured mix. 12 x 330ml bottles of our delicious Mocktails perfect for any party! Don't forget if you would like an assorted box try our Mocktail Party Pack. A refreshing and uplifting blend of apple and English Elderflower, perfectly balanced with fruity cranberry, pomegranate & lime with a subtle yet sophisticated twist of lemongrass. A semi-sparkling flavoured mix. 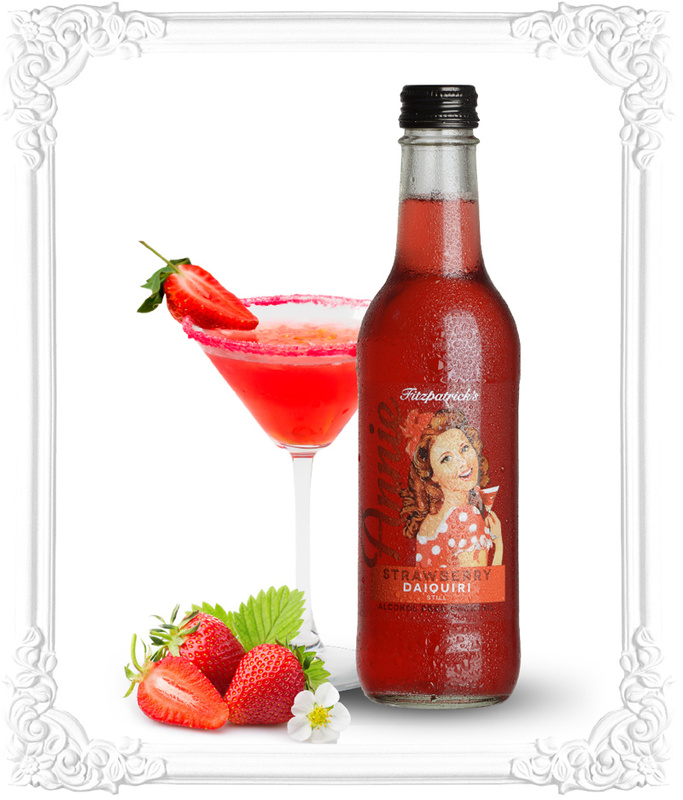 12 x 330ml bottles of our delicious Mocktails perfect for any party! Don't forget if you would like an assorted box try our Mocktail Party Pack. A semi-sparkling tantalising and bountiful berry fusion of the strawberry & kiwi, expertly blended with superfruit berries and finished off with rich raspberry and rosehips. A semi-sparkling flavoured mix. 12 x 330ml bottles of our delicious Mocktails perfect for any party! A ravishingly refreshing modern twist on a classic mimosa cocktail, this delectable non-alcoholic Rhubarb Mimosa is simply stunning for any occasion. 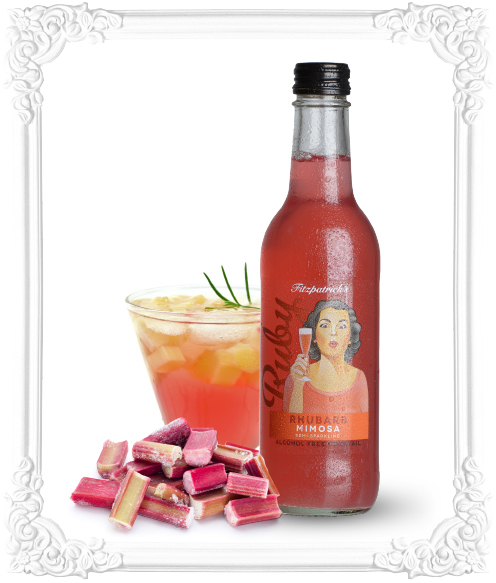 A GREAT PARTY STARTER - A MIXED CRATE OF ALL OUR GREAT ALCOHOL FREE MOCKTAILS. 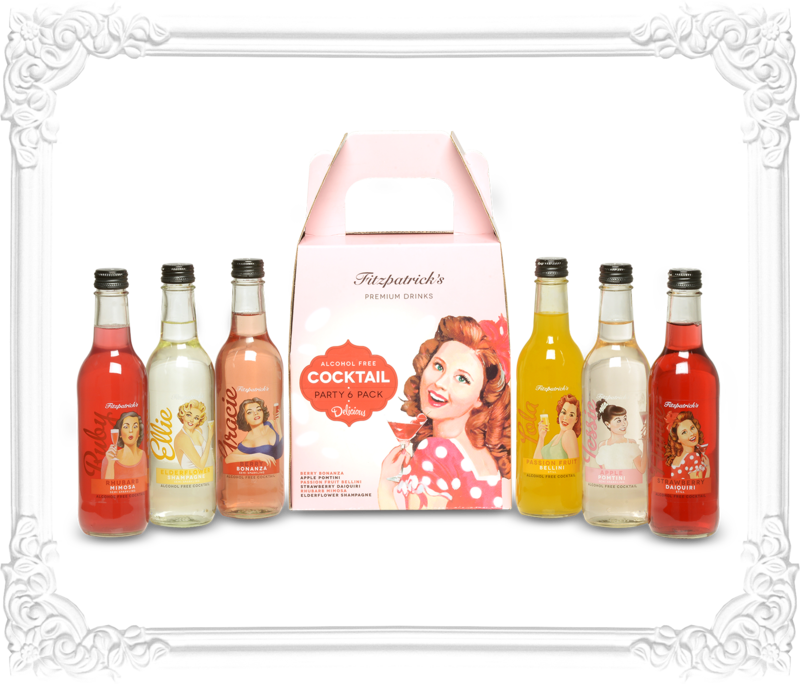 Retro and fun, each Gift box contains 6 bottles, one of each flavour of our delicious Mocktail range.